It’s been a while since the last time we could vote, but now it’s time again. Since 2011, GAFFA has, with the help of readers, distributed prizes to the year’s most important artists. You can vote in several categories for a list of artists from 11th December to 14th January. The prizes are distributed on 10th February 2018. For being able to vote, you have to register (you can do it with your Facebook profile even) and log in. In each category you can vote for 3 artists / bands. Your choices will be saved automatically. You don’t need to press any confirmation button. 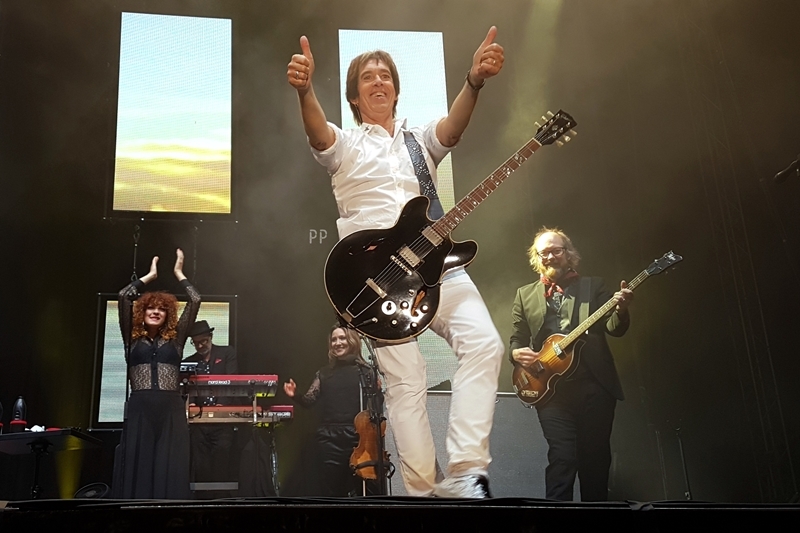 The most important categories for all Gessleists are ”Årets Soloartist” ( = Solo Artist of the Year) and ”Årets Liveakt” ( = Live Act of the Year). Make sure you tick in the option ”Per Gessle” in both of these sections. 😉 Then keep your fingers crossed until the voting ends that it’s Mr. G who will be the winner in both categories! 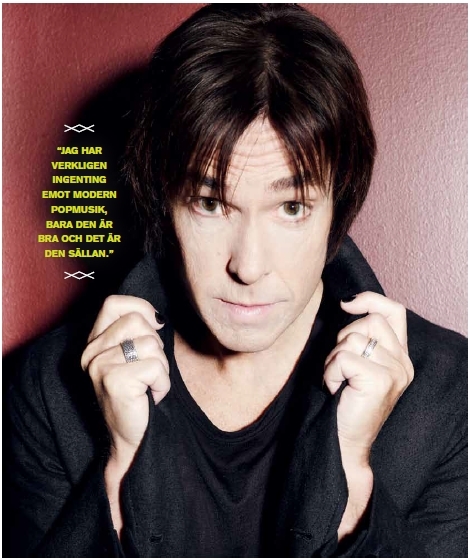 Scandinavia’s #1 music magazine, Gaffa (Jonathan Bengtsson) interviewed Per Gessle. They are talking about songwriting and The Per Gessle Archives. You can download the magazine in pdf from HERE. Article is on pages 32-33. Why ever stop when it’s still fun? This is my job, to make the best possible song out of the best possible idea. That’s what I can do and that’s what I’ve always been doing. No no, this here is absolutely not a summary. It’s entirely a nerd project, something I do primarily by self-interest. But I would still like to say that the material in the box has a kind of pop value, something unique. It’s a cornerstone in what I do. Per says he would never be able to create a song based on a groove and he would never be able to write a hip hop song. He says writing and creating a good pop song is fantastic. The pride, the joy he feels then is exceptional. They are also talking about what Per was listening to when he was a child, his record collection that played a crucial role in what Per has become. About today’s pop music Per says it’s mainly about the management. There is no time to develop anything. They work with the same types of artificial sound, the same drum fills and effects and therefore all the tracks sound almost the same. One reason why he and Marie didn’t want to work in the US was to avoid sounding like everyone else. Per feels sorry for today’s young Swedish songwriters, because many of them become only “Hired Guns” of the industry. The reporter says people often talk about music as a purifying, therapeutic tool and asked Per how it is with him. Per thinks all creative work is purifying in its own way. He wasn’t really inconsolable when he wrote Joyride and he was in a significantly lower mood when for example, he sat down to write Queen of Rain. But it still works the same way, purifying. He says he is not claiming that all he has done is autobiographical, but the starting point is always a feeling inside him, something that attracts him. Well, it would in that case be a haircut or a doubtful choice of clothes (laughs). But mostly, I’m happy. Happy that I have always had the privilege to do, create and shape things myself. Without anyone interfering. And happy that I was born exactly when I was born. We live in a completely different time now, a time where pop music’s reason for existence is questioned. The primary task pop has and always had, is to reflect its contemporaries. For example, the ‘60s were coloured by all the youth revolts and the Vietnam War, but what do we have today? X-Factor, those talent shows, where you are striving to become famous for being famous. One day we noticed that someone had broken in and taken demos and unique sound recordings, everything from Roxette to own stuff was gone. Months later, the material via an anonymous source was suddenly posted on YouTube. So now in a longer perspective, the whole thing was actually just a good thing, because when those old demo recordings turned up on the internet I noticed that there was a great interest, that the fans really appreciated hearing the process, the imperfections. So you could say that it’s thanks to that thief that this box is made at all. The beauty box of gems is out on 24th September!